For most of his adult life Mauricio Martinez Neri has dreamed of owning a business in which he could create meals in his own culinary style. 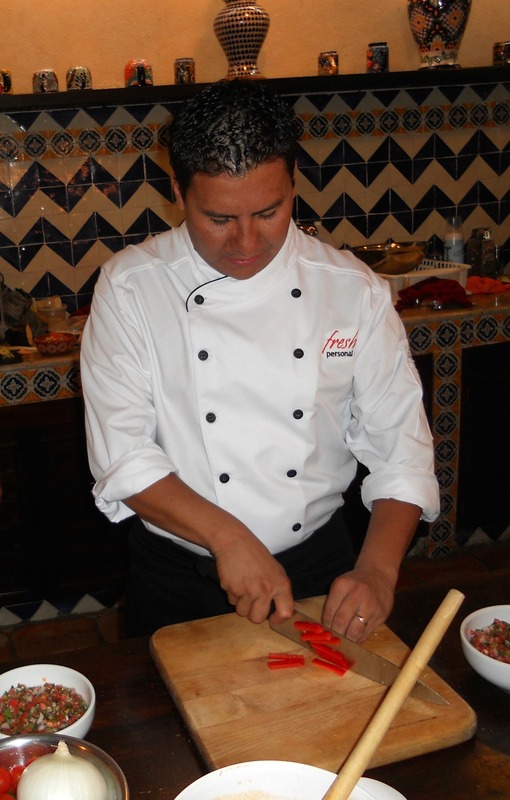 His dream became a reality in January, 2012, when he kicked-off Fresh Personal Chefs in Puerto Vallarta, Mexico. Personal chefs are different from caterers in that they make and serve meals in the client’s own home kitchen. Personal chefs can prepare meals for guests at a one-time gathering or can make individually packaged meals that are refrigerated and then used by busy individuals or families during the week. Fresh offers both services. With over 18 years of experience at top restaurants in Door County, Wisconsin, and more recently as a personal chef in Puerto Vallarta, Chef Mauricio has stepped out on his own and has created a personal chef experience not to be missed! Allow us to “make your life easier,” book a party or event with Chef Mauricio and Fresh!